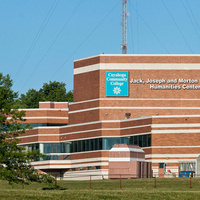 The Jack, Joseph and Morton Mandel Humanities Center provides high-performing liberal arts students a “community of excellence” with technology-rich, team based learning environments. Its goals are to cultivate the next generation of community leaders as well create a national forum for problem-based community research. My Path to Leadership: Ulyana Horodyskyj, Ph.D.